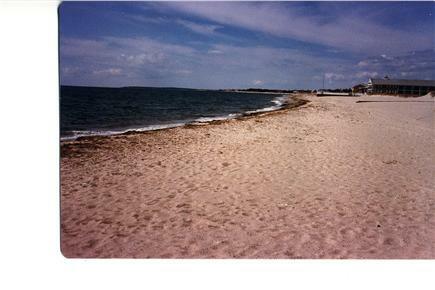 Beautiful Long Pond Beach is just 200 feet away! 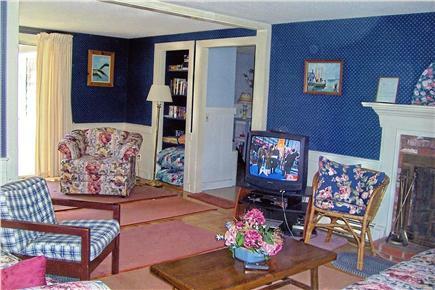 This cozy, charming, 3 bedroom, owner-maintained ranch is located in a quiet residential neighborhood approximately 200 feet from a sandy fresh water beach and playground at Long Pond. This house features a large fully furnished eat-in kitchen and a spacious, comfortable living room that opens to a private yard and deck with a picnic table and gas grill. 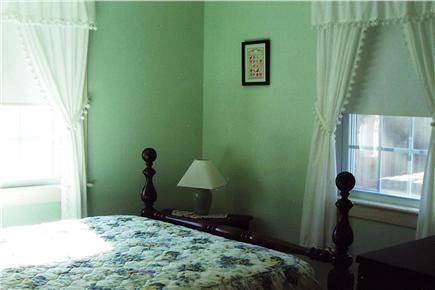 The bedrooms are bright and cheery, have a/c and include a queen, a full and two twin beds. 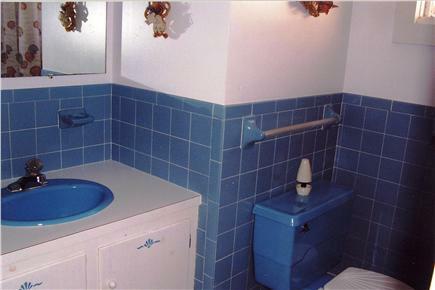 There is a full size bathroom and an enclosed outdoor hot/cold shower. WiFi and cable TV are included. Our house is within walking distance of shops, restaurants, churches, free tennis courts, swimming, boating, kayaking, and Cape Cod League games. It is only a short drive to ocean beaches in Dennis and Yarmouth, theater, summer concerts, golf courses, miniature golf, deep sea fishing, sightseeing boats, and the ferries to Nantucket and Martha's Vineyard. A car trip to Provincetown or Wood's Hole is also easy from our house. Bus service is available from the Mid Cape area to Boston for those wishing to spend the day in the city or at Fenway Park to catch a Red Sox game. Additional pricing info: Book two consecutive weeks and save $50./wk, book 4 and save $100/wk.. Security deposit $150./wk, State and local taxes of 14.45% will apply. All rooms are on one floor. There are one or two steps to enter the house. This was our 2nd year at Bill & Elaine's home. As usual, it was spotless and inviting upon our arrival. The location is ideal as it is right off rt. 28 on a quiet street. Beaches nearby and convenient to anywhere on the Cape. My family and I love the house and would refer anyone to it. The cottage was a pleasure to rent. It was in excellent condition and very clean with supplies at hand for our use. The air conditioning in 2 bedrooms helped a lot also. The owners were available for any help or info we may have needed but we were actually fine. I would recommend rental to anyone looking for that location area. We’ve rented many properties on the Cape over the years & this was the best experience we’ve had. The landlord was extremely pleasant & helpful. I felt like she genuinely wanted us to have a great vacation. The house was immaculate upon our arrival and is the perfect size for 6 of us (2 couples & 2 kids). Very quaint home with beautiful deck & picnic table with gas grill. The close proximity to the kettle pond was a huge bonus with 2 young boys. On days we were tired it was great to just relax at this beautiful pond. The boys were happy playing in the sand & I was happy kayaking. The location couldn’t be any better for a family. So much to do within walking distance/a very short drive. We had a wonderful time on the Cape this week. Thank you so much. 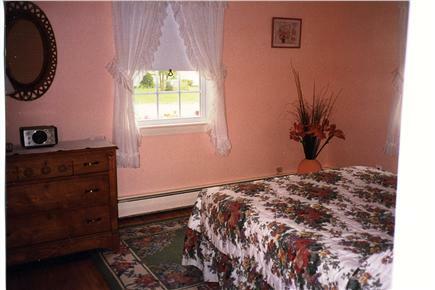 Your cottage is so comfortable and peaceful-just what we were looking for! Thank you again for the generous card to the Creamery- our kids especially enjoyed that. I would like to start with the moments I looked at and sent an email to Elaine about the rental. She did something that no other renter had done. She insisted that we speak on the phone before she would rent to me. I felt a connection to them and the home and was even more excited to rent it. Fast forward to us arriving at the rental. Absolutely spotless... tons of extras in the kitchen and a beautiful note and gift card from Elaine and Bill for our visit. With big smiles we checked out the rest of the house. Great sized comfortable living room, three good sized bedrooms, air conditioning, nice clean bathroom (again with lots of cleaning products and extras). Very nice but our whole crew used only the outdoor shower each day as the weather (in the note they left, Elaine and Bill "ordered for us some great weather") was perfect all week not a cloud in the sky until the day we left. We had an amazing time on this trip and hope to be back in the future to this place. We would have a hard time staying somewhere else after this experience. We had a wonderful time. The house was exactly as described by owners. It was very clean and provided everything you might need for a relaxing stay. 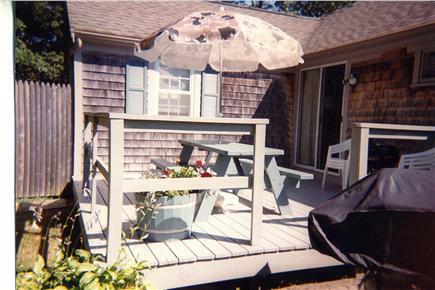 We enjoyed the deck with chairs and picnic table and the nice outdoor shower. It's located a short walk to a pond and a short drive to great beaches. We would definitely stay there again. Great time at the Cape! We had an incredible vacation on Cape Cod at Elaine and Bill's Cape home! 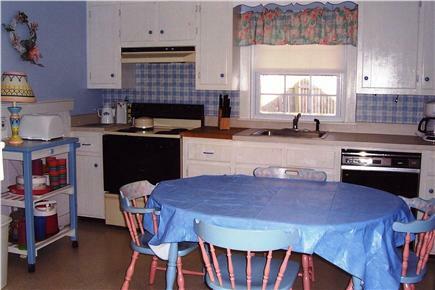 The well maintained home is close to all of the attractions. Many beautiful beaches are just minutes away. We brought our kids to play mini golf and to the new pirate museum nearby as well. Our two boys especially enjoyed swimming at the pond which is just steps away. The basketball court and playground were a big hit as well! This is the perfect home away from home! 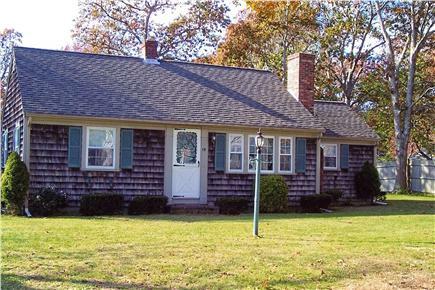 This is a comfortable and charming house and perfect for our week on the Cape. We feel at home there. It's in a great location for getting to any part of the Cape. It has a nice big kitchen and a nice deck to relax on. We would highly recommend it and hope we can get back soon. Great Time on the Cape! We stayed in this adorable Cape Cod home in September 2016. Loved it! This was actually our 4th time staying in this home. It is a great location, close to many shops and restaurants. Only 10 minutes away from many great beaches. The house is very cozy with a private backyard with a deck and gas grill. Sleeps 6 very comfortably. The outside shower with hot and cold water was a big hit for our group!! Will definitely stay here again! Bill and I have been renting out our Cape house on Samoset Rd. for many years. 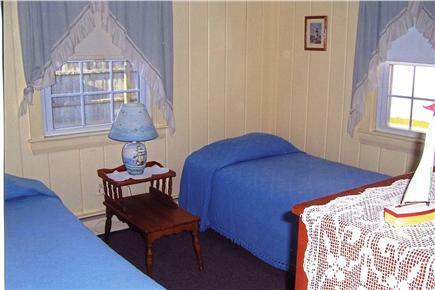 Over the years we have thoroughly enjoyed helping people have a wonderful vacation on Cape Cod . We are now retired and are definitely hands on rental owners. In the spring we work hard to get our Cape house ready for our renters. That means cleaning, repairing, and updating what needs to be done. During the season we have a special couple, former renters who have moved to the Cape help us with the cleaning and care of the house. Yes, we do get to use our Cape house, primarily in the spring and fall. Our Cape house is very centrally located. We are approximately 2 miles off of Route 6 at Exit 8. We are close to several Yarmouth and Dennis beaches. 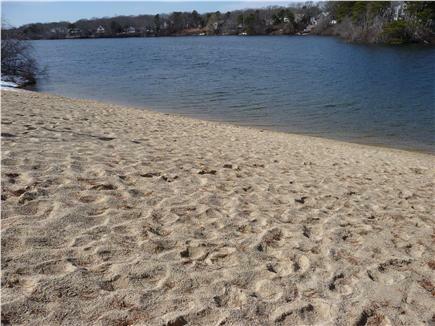 We are 200 feet from a fresh water beach at Long Pond. We are 7 miles from Hyannis and the Ferry Boats to the Islands. We are very close to the entrance of the Cape Cod Bike Trail. We are within walking distance of several restaurants, stores, and the Cape Cod Baseball Games at the Dennis-Yarmouth high School.